Born in Ireland in 1862, she came to New Zealand with her family in 1874 and was employed as a tailoress. She became vice-president of the Tailoresses’ Union of New Zealand in 1889, and in 1890 took over as its secretary. 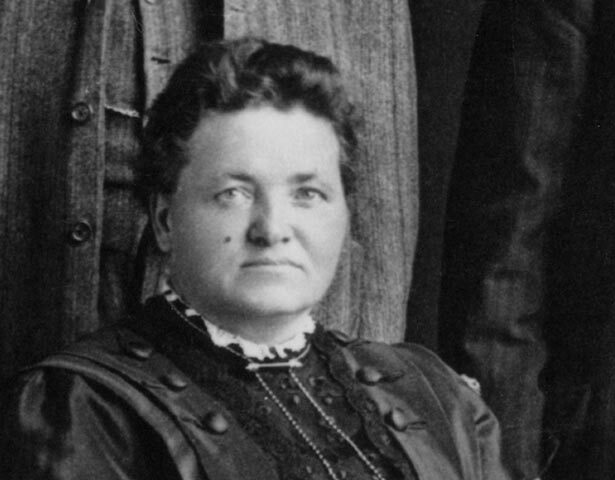 She tirelessly pressed for higher wages and better conditions for tailoresses, and also lobbied for representation of other groups of women workers, such as domestic servants. Believing that equality was fundamental to the Christian message, Morison was involved in the WCTU and helped found the Dunedin Women’s Franchise League. Both organisations campaigned for voting rights for women, and Morison helped convert many working women to the cause, gathering signatures for the suffrage petitions that circulated nationwide in the early 1890s. In 1896 Morison left the Tailoresses’ Union under a cloud, accused of embezzling funds – she had naively deposited fundraising money in an account under her own name. However in 1906 she was appointed inspector of factories for the South Island, and in 1908 took charge of a Department of Labour Women’s Branch (essentially a labour bureau for female domestic servants) in Auckland. Her public service career was stormy, possibly because of her tendency to be forthright. She was forced to resign in 1921 when the Women’s Branches were disestablished. Harriet Morison died in Auckland in 1925, after a life of successful activism on behalf of all women, but especially working women. We have 14 biographies, 5 articles, related to Harriet Morison.